Congratulations Elizabeth Wuirch, winner of the $1,000 Season of Giving Campaign! We are happy to support The Heart and Stroke Foundation, a cause close to her Heart. 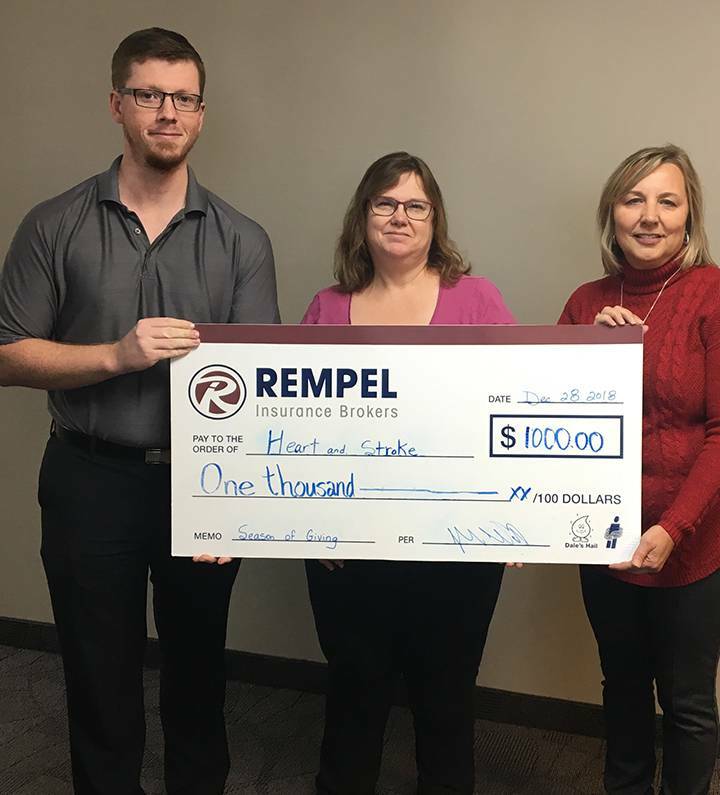 Rempel Insurance has donated $1,000 to the Heart and Stroke Foundation. Stay tuned for our additional winner announcement; having reached over 100 entries we have chosen to present another $1,000 award.